Not even 10,000 fans were in the stands in San Diego on June 12th, 1970 for that evening’s doubleheader between the San Diego Padres and the Pittsburgh Pirates. Dock Ellis, the Pirates’ starting pitcher for the first game, was in the bullpen warming up. Something was off with Dock that night. He had only arrived to the stadium at 4:30 pm, a mere hour and half before the 6:05 pm start time. When he did get there, he had trouble locating his locker. In addition, he seemed very confused about what day of the week it was. As Dock rocked back and forth and began his motion for his first pitch of the ball game in the bottom of the 1st in a 0-0 ball game, he, and everyone else in the ballpark that evening, were not aware this was going to be a game of mythical proportions. Dock Ellis was about to pitch the first, and only, no-hitter of his career. And he would do it while high on LSD. According to Dock, he wasn’t even sure if they slept that night. At about noon the next day, Friday, Dock popped another LSD pill. At about 2pm, Mitzi was reading the newspaper when she noticed something of interest, a preview of that day’s game between the Pirates and Padres. And, according to the newspaper, Dock Ellis was scheduled to pitch for the Pirates. Dock, confused, thought the paper had it wrong. He was scheduled to pitch Friday, not Thursday. Mitzi informed him that it was, in fact, Friday. Dock, stunned, immediately hopped on a plane for San Diego, arriving at the stadium with barely enough time to spare. He then met a female acquaintance by the dugout, who handed him a bag of “Bennies,” a type of amphetamines. He took these pills before stepping on the mound. This was part of Dock’s, and some other players’, normal game time routine, LSD or no LSD. Dock remembers thinking he saw a comet tail behind his fastball. While that may have been an LSD hallucination, he was indeed throwing fire that the Padres could not hit. He was also incredibly wild. He recorded eight walks, compared to only six strikeouts, over his nine innings of work, including the beaning (hit by a pitch) of the Padres center fielder Ivan Murray. According to a High Times interview Ellis did in August 1987, he saw many different hallucinations during his no-hitter trip including the great Jimmi Hendrix standing in the batter’s box swinging his guitar as a bat; the baseball growing as large as a beach ball and then shrinking as small as a pea; and Richard Nixon doing the umpire’s job of calling balls and strikes. He even said, at times, he couldn’t see the batter and had to focus on his catcher’s glove in order to not fall down. Of course, there are some who simply do not believe the story of this “magical” no-hitter or think some of the details, like the Jimi Hendrix bit, may have been added for effect. The story did come from Dock Ellis himself, but the whole high-on-LSD aspect was not revealed until Ellis did an interview four years after he had retired from baseball in 1979, 13 years after the alleged game itself. So he might have not clearly remembered the details. Also, Dock has always been known as a character, someone who loved attention and embellishing stories, so there could have been some of that happening here. Although, it should be noted at the point in which he first told the story, he had been nearly four years off drugs after checking himself in and completing a drug treatment program. Further, he was working as a drug counselor at the time. Given that, it seems odd that he’d simply randomly invent such a story talking about how he was on drugs during one of the greatest moments of his career, if it didn’t actually happen. One of those who’s not inclined to believe Ellis at all, was Bill Christine, the Pirates beat writer for the Pittsburgh Press at the time. He stated there was no way if Dock was as high as “a Georgia Pine” (Dock’s description of himself) as Ellis claimed, that no one would have noticed. “If a starting pitcher under dictatorial manager Danny Murtaugh had been flaking right before a start, the paper would have known about it,” Christine said in an interview with Deadspin. Of course, Ellis claimed his teammates knew he was high on something at the time, but didn’t know what and that’s hardly something they’d leak to the press. That being said, to date none of his old teammates have ever come forward to corroborate his story. Dock Ellis went on to pitch nine more seasons in the major leagues. 1971 was, by far, his best year, winning 19 games with 3.06 earned run average. He was honored as an All-Star, finished fourth in the NL Cy Young (award for best pitcher in each league) voting, and led his Pittsburgh Pirates to a World Series championship. After retiring from baseball, as mentioned, Ellis entered into a drug treatment program and became a drug counselor. 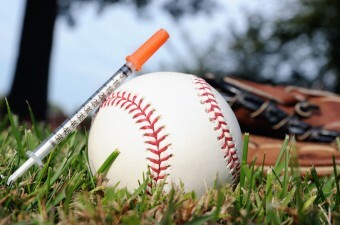 He was even hired by the New York Yankees in 1986 to help young players deal with their substance abuse problems. Unfortunately, hard living took its toll on Ellis when he was diagnosed with the cirrhosis of the liver in 2007 and was placed on the list for a liver transplant. By 2008, he was suffering from heart problems as well and Dock Ellis passed away on December 18th, 2008 at the age of 63 in Los Angeles, California. So did Dock Ellis really pitch the game on LSD? We really just have his word on the matter to go on. If you’re inclined to believe him, then yes. If not, perhaps the upcoming “dockumentary” on Ellis will provide evidence one way or the other. Whatever the case, it should be noted that had he taken the LSD when he said he did, its effects would have mostly worn off by the end of the game. In 1976, Ellis was named MLB’s Comeback Player of the Year after helping to lead the New York Yankees to the American League Pennant (but losing to the Cincinnati Reds in the World Series) and posting a record of 17 wins and 8 loses to go along with a solid 3.19 earned run average. Ellis was long a critic of racism in baseball and was a proponent of players’ right to free agency. In fact, Jackie Robinson once sent him a note complimenting him on his ability to speak his mind, but cautioned that talking too much may put his career at risk. Several artists, filmmakers, and even animators have been taken by the story of Dock Ellis pitching a no-hitter while on LSD. No Mas, an online sports and culture magazine, with the help of artist James Blagden created this animated short about the story. The short has garnered nearly 3 million views on Youtube since it’s release in 2010. L.S.D. was the only drug that caused spiders in a well known experiment to spin perfect orb webs. All the other drugs tested caused distorted shapes. It is a shame that the C.I.A. produces bad L.S.D. and dumps it on the streets to discredit the drug in the public’s perception. And what is the hypodermic needle doing in the photo? Is this sensationalism at it’s finest?